New research from Australia suggests that millennials dominate mortgage broker market. Roy Morgan, Australia’s best known and longest established market research company, shows that in the 12 months to March 2018 nearly half (48.6%) of the existing home borrowers who used a mortgage broker over the last five years to obtain their current loan were Millennials. This was well above the share of any other generation. These are the latest findings from Roy Morgan’s Single Source survey of over 50,000 consumers per annum, including over 5,000 home loan customers with a loan held for five years or under. The following chart shows that with the dominance of Millennials (48.6% broker share), combined with Generation X (38.8%), that together they account for 87.4% of current home borrowers using mortgage brokers where their loan had been held for five years or less. 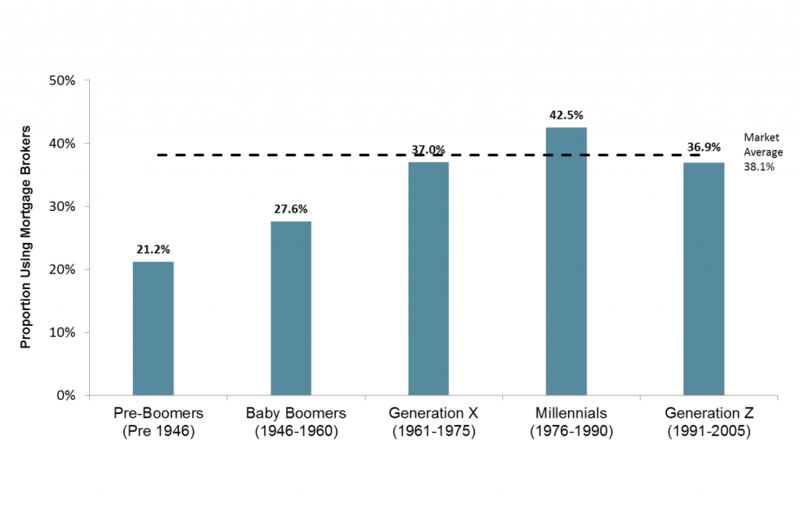 Baby Boomers account for only 9.0% of this market, followed by Generation Z (3.1%) and Pre-Boomers (0.5%). This chart shows that 42.5% of millennials with a current home loan of five years or less used a mortgage broker. 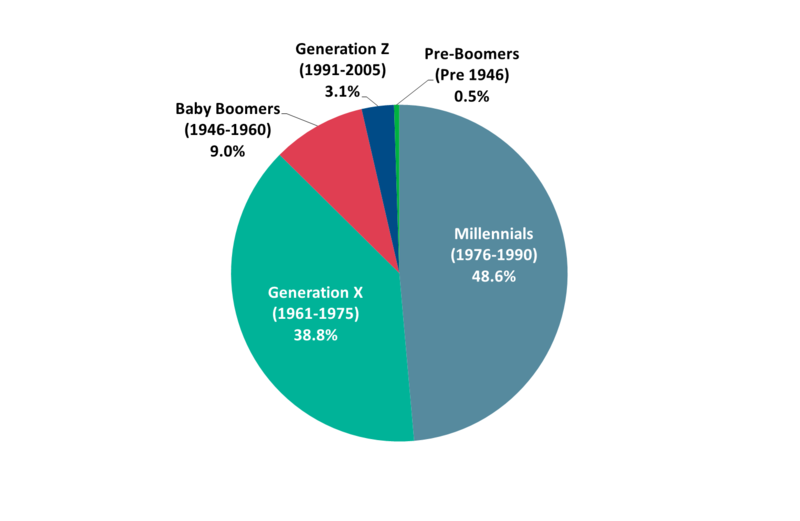 In second place was Generation X (37.0%), followed by Baby Boomers (27.6%) and Pre-Boomers (21.2%). Commenting on the research by Roy Morgan, chief mortgage consultant at icompareloan.com said that in the context of Singapore, most wealthy people want to use mortgage brokers as they see the value in engaging them. Mr Ho said that older people tend to place a lot more respect on bankers despite the fact that banks have lowered their criteria for hiring bankers. “Furthermore, a banker cannot tell you that his bank is not giving you the best packages as his/her role is to sell the bank’s packages,” Mr Ho added. Not all home loans in Singapore are created equal – as some will try to charge more than others. This is why it is very important to find the right lender who meets your needs for more funds. Many factors come into play when you are searching for home loans in Singapore – factors like, if have you defaulted on home loans in Singapore or other loans in the past and how you service your existing loans. With a good number of local and foreign financial institutions operating here in Singapore, the choice of a lender and its packages can be mind boggling. Imagine having to compare over hundreds of different loan packages and wondering which is best for you. Even if you are a specialist in finance, differences between the loans in Singapore are not so straight forward, because there are quite a few variables. This is where an independent mortgage broker maybe useful for home hunters in their search for a loan which is the right fit for their needs. Without any partiality, the independent mortgage broker can compare a range of products and lenders. This will help home hunters save time and money, avoid confusion, and improve their chances of getting approved as well. If you are home-hunting, our Panel of Property agents and the mortgage consultants at icompareloan.com can help you with affordability assessment and with best home loans. The services of our mortgage loan experts are free. Our analysis will give best home loan seekers better ease of mind on interest rate volatility and repayments. Just email our chief mortgage consultant, Paul Ho, with your name, email and phone number at paul@icompareloan.com for a free assessment.